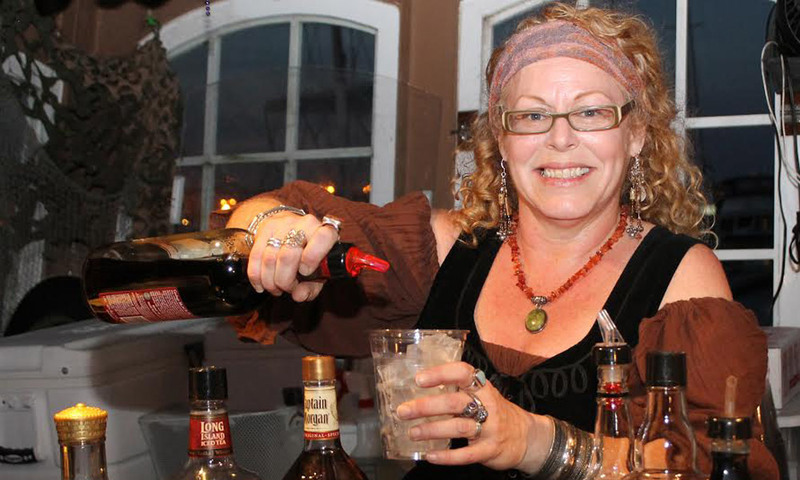 Be a pirate, or just act like one, on the The Black Raven's unique live, interactive pirate cruise. Treasure Hunt (all ages): The show starts off when Capt. 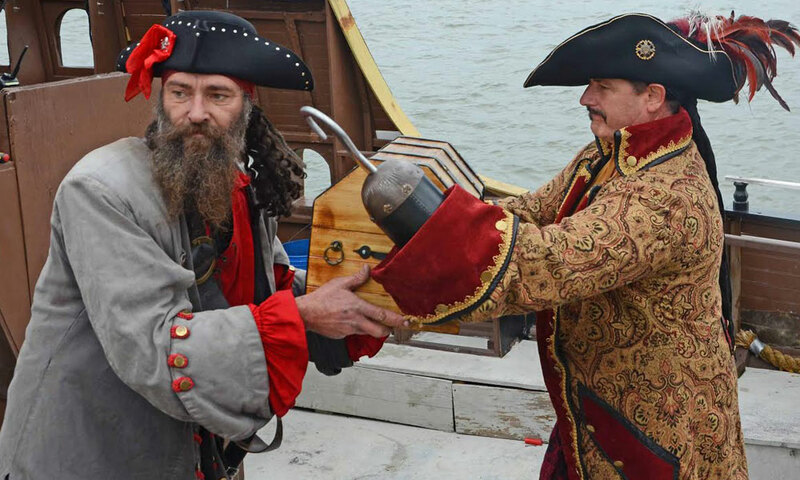 Hook steals the treasure chest right in front of Black Raven’s crew. Sword fights and cannon fire result, and culminate in a sea battle between the two ships, the Black Raven and the Queen Anne’s Revenge. Along the way, there's plenty of activities for both kids and adults, including treasure sharing, sword fighting lessons, face painting and more. The tour departs at 2:15 and 6:15 p.m. daily. Tickets are $34.95 for adults, $24.95 for children ages 3-12, and toddlers 2 and under are free. Rum Runners (adults 21+ only): This adult-oriented and audience-driven show is not for the easily offended, but is full of outrageous fun aboard ship. 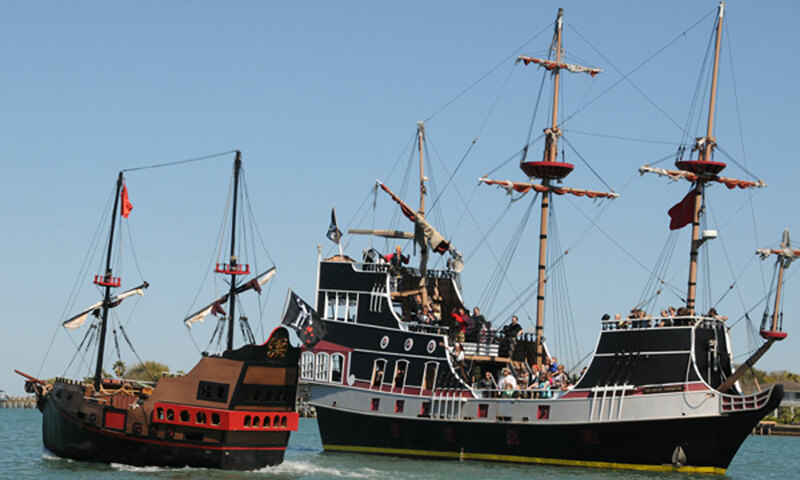 Guests can enjoy a mix of songs, jokes, skits and stories, all delivered pirate-style and unscripted, as the lively crew interacts with the audience. A full cash bar is available. The tour departs at 8:15 p.m. on Fridays and Saturdays. Tickets are $29.95 per person (adults ages 21+ only). Birthday Adventure: This special show is designed to give children the birthday adventure of a lifetime. 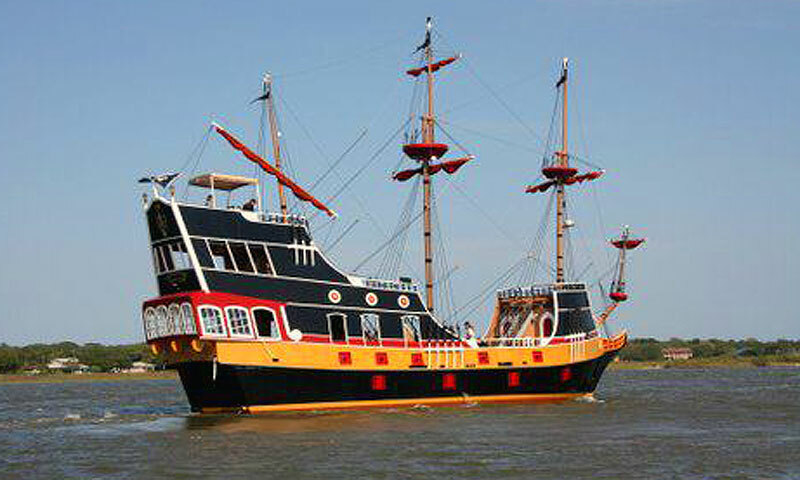 The cruise is similar to the daily Treasure Hunt tour, but focuses on the guest(s) of honor. Each child whose birthday is being celebrated receives a special Treasure Chest delivered by Capt. Hook himself (optional by the parents). All children will get a loot bag, with cupcakes and beverages for all passengers. The tour departs every Saturday at 11:15 a.m. Prices for this tour are the same as for the Treasure Hunt cruise. Reservations are always recommended and visitors should please call ahead to reconfirm the departures. Black Raven advises guests not to travel long distances for their tours without checking first, as schedules may change due to weather or unforeseen circumstances. For more information and to make reservations, call (904) 826-0000 or (877) 578-5050 or visit the Black Raven website here. <3 EXCELLENT FAMILY ENTERTAINMENT... LOVED IT!!!!! "Mingulay Sea Shanty" by the lady in green on Thursday 8/24/18 6pm was one of the most BEAUTIFUL SONGS I've ever heard! Please make a VIDEO of it. None of them on youtube can compare to her singing! 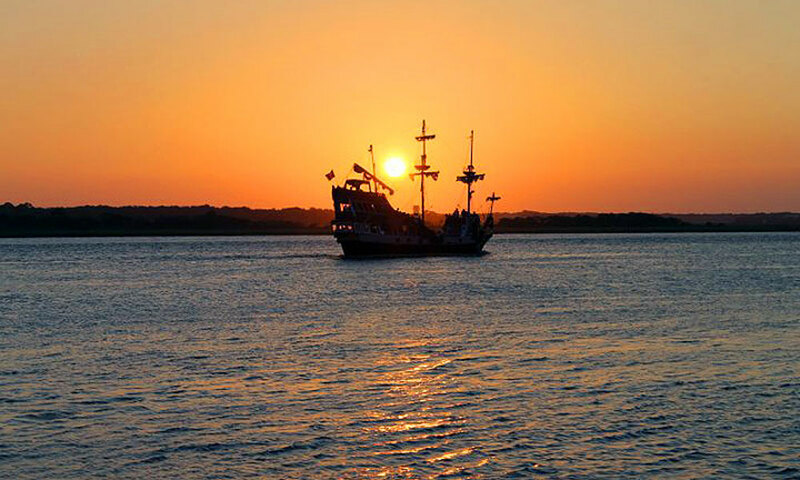 This was a FUN family cruise of St Augustine. The actors dressed like pirates were great... they are the GOOD PIRATES... one reminded me of Johnny Depp in the pirate movies, some were married couples, they all went out of their way to answer questions. The sword fights with play swords were so fun for the kids. There was a sick child on the ship and they were especially kind to him and his family and it was filmed for TV. They sang happy birthday to a lady. It was AWESOME... We really enjoyed it!!! I been on the show several times. Beautifully done. I personally witnessed the actors rehearse for the show once and I seen that they give it their best. I personally seen the love that they have for the show. They do their best on making sure that the kids enjoy the show. The singing and acting is amazing. They're all great but my favorite actor, well, actress, is Lady Red. I had some questions before and after the show and the actors been really friendly and attentive to my questions. And the lady who is usually the one who works at the Black Raven shop (her name is Grace) is very friendly and patiently answered all the questions I had in regards to attending their shows. Thank you for your comments. That is exactly what we are looking for! Sign us up the next time we are in town! We took a group of 10 on a full ship the Saturday after Christmas! My grand children had so much fun. 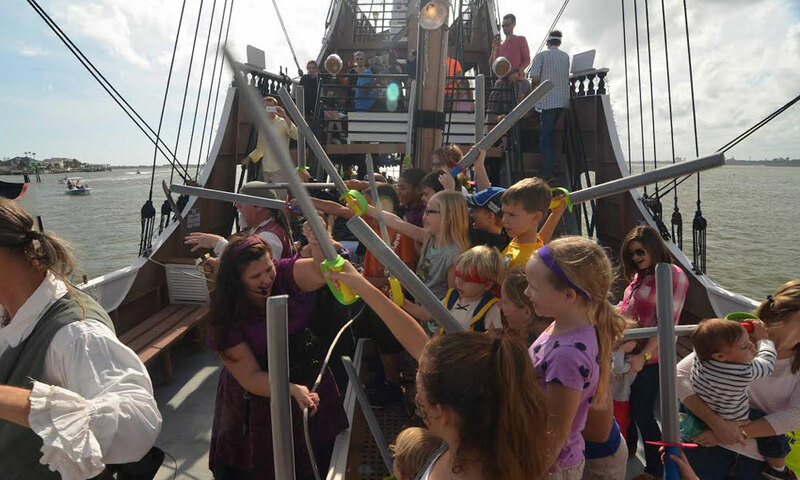 The sword fight was a hit, and the Pirate attack was so much fun! I was so pleased the the attention paid to each passenger. My grand daughters tattoo got smugged, and the crew was happy to fix her up. I recommend this to any family with Pirate tendencies. I have 2 little boys and this was their dream. It was truly amazing and very entertaining. The crew was fantastic and I know we will be back in the fall!